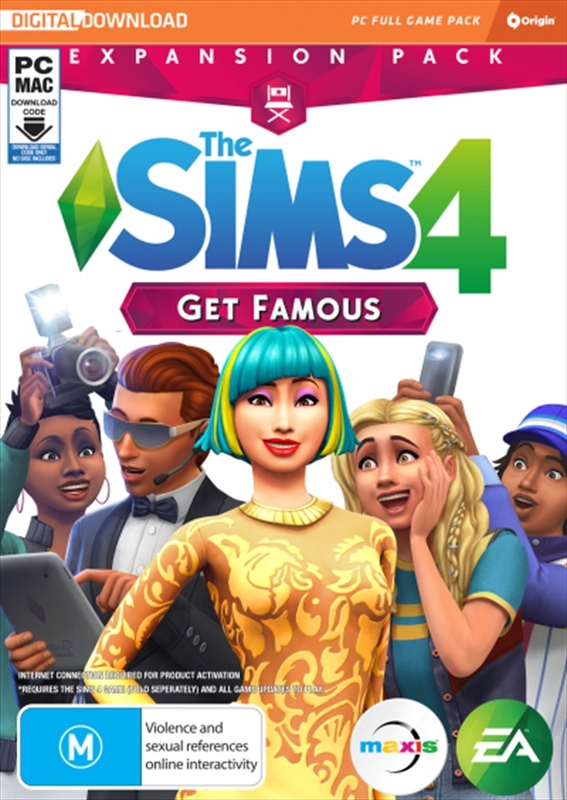 Reach for the stars and rise to celebrity status with The Sims 4 Get Famous. Build your stardom as you pursue an acting career,become an A-lister, and guide your Sims down the unpredictable path to fame. From the studio lot to VIP parties, you choose how your Sims can gain worldwide acclaim. Customize and show off your celebrity style, and decorate your Sims' luxury house on the hills with over-the-top accessories like a solid-gold toilet. Get ready to shine bright in the spotlight and live your best celebrity life. Run This Town - Join the glitz and glamour of Del Sol Valley, a new world where your Sims discover fame. Get a starter home in Mirage Park or work your way up to a house in the hills in The Pinnacles. Score a legendary star on the walk of fame with your Sim's name on it, and you'll be the talk of the town in no time.